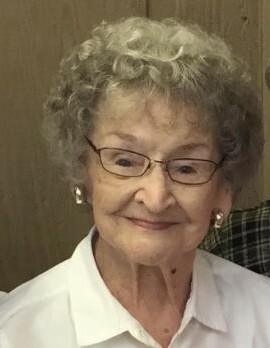 Betty Olds, 93, of Washington passed away at 4:15am on Friday, November 23, 2018 at her home of 72 years in Washington. Surviving is her son, Everett (Tanya) Olds; Everett (Wendy) Olds; step-grandchildren, Angie Menz, Chad Stroud, and Scott and Jeremy Sopher. ; and a sister-in-law. Betty was a loving wife, mother, and grandmother. She faithfully served Faith Lutheran Church in Washington, where she was a member for many years. A funeral service will be held at 11:00am Tuesday, November 27, 2018 at Deiters Funeral Home and Crematory in Washington. Pastor John Rothfusz will officiate. Visitation will be one hour prior to the service at the funeral home. Interment will be at Swan Lake Memory Gardens in Peoria. In lieu of flowers, memorial contributions may be made to Faith Lutheran Church in Washington.